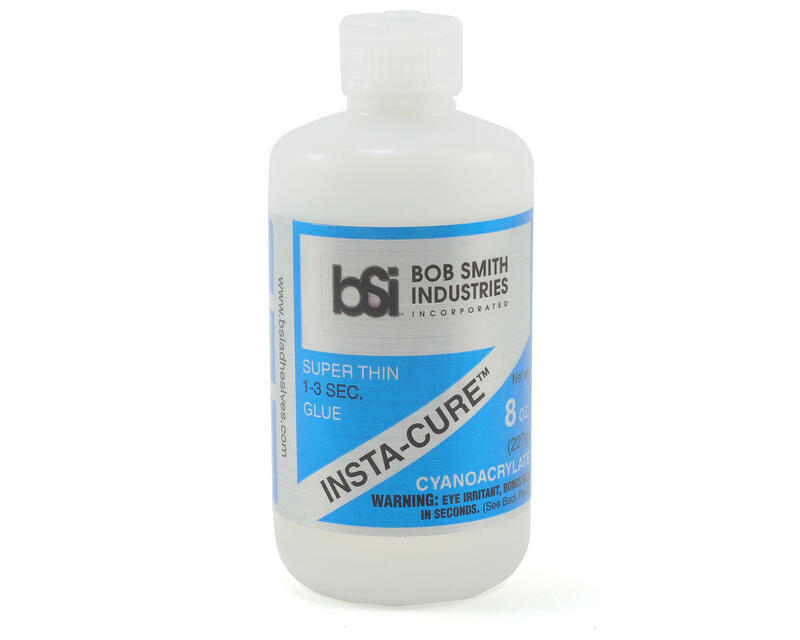 This is a eight ounce refill bottle of Bob Smith Industries Super Thin INSTA-CURE™ CA Glue. INSTA-CURE™ has a water-thin viscosity that wicks deep into joints by capillary action and cures in a matter of a few seconds. Surfaces to be bonded must be tight fitting and should be held together while you apply the CA around the edges of the seam. At the moment CAs cure, they give off a vapor that can irritate the nose and eyes, so be prepared. Thin CAs work very well on balsa since they penetrate into the wood and form more than just a surface bond.